I'm initiating coverage of Fiji by beginning with its first issues, the 1870-71 "Newspaper" stamps (Scott #1-5, 6-10). The British colony's first postage service to outlying islands was started by a newspaper, the Fiji Times, whose agents delivered mail to the public. 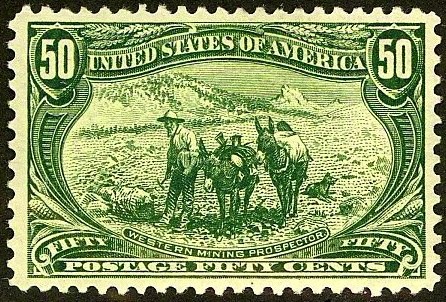 These stamps were crudely printed and rouletted, and all are very scarce, with 600 of each of the 1870 issue and 1,200 of each of the 1871 stamps issued. Scott '14 prices for unused range from $1,200.- to $4,400.- . The stamps were issued in sheetlets containing all denominations, but I haven't been able to find catalog values or realizations for the strips containing one of each. Reprints and forgeries exist of these stamps, so they should be purchased conditional on obtaining expertization. They are often found with defects, so attempt to purchase them in F-VF OG condition. While I don't expect a significant stamp market to develop in Fiji in the near future, these stamps represent conservative investments in the growth of British Commonwealth collecting. Now an independent republic of 850,000 citizens, Fiji is endowed with forest, mineral, and marine resources, It is one of the more developed of the Pacific island economies, though still with a large subsistence sector. Natural resources include timber, fish, gold, copper, offshore oil, and hydropower. Sugar exports and a rapidly growing tourist industry – with tourists numbering 430,800 in 2003 and increasing in the subsequent years – are the major sources of foreign exchange. Annual GDP growth has been flat over the last 5 years due to the global financial crisis, though it is beginning to recover.